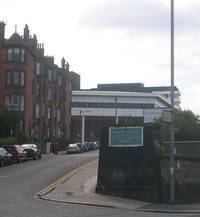 The Royal Hospital for Sick Children in Glasgow cares for children from the moment of birth up to the age of thirteen, with 266 beds for overnight patients and 12 for daycare cases. Each year the Yorkhill hospital handles up to 90,000 out-patients and 35,000 Accident and Emergency attendances. The Yorkhill Division is also very active in the wider community in Glasgow, with four Child Development Centres running clinics which deal with a range of development problems such as speech, hearing, behavioral or emotional issues. The Yorkhill Children�s Foundation works hard all year round to raise invaluable funds which are then used to buy extra resources and equipment to further enhance the facilities which are available to patients and their parents at Yorkhill Children�s Hospital. If you need to find out more information about the hospital or want to know how to get to Yorkhill, a full interactive 3D map of the campus can be found on the NHS website � www.nhsggc.org.uk. You will also find information about the full range of services at the hospital. For cheap and conveniently located B&B accommodation near the Yorkhill Children�s Hospital, look no further than The Sandyford Hotel between the West End and Glasgow City Centre. You will find that we provide a top quality bed and breakfast service at affordable prices in every one of our 55 well-appointed rooms. The Sandyford is a family-friendly hotel and we have rooms for three or four visitors, perfect for families travelling with children. The Sandyford Hotel is ideally located within walking distance of the Royal Hospital for Sick Children so if you need accommodation near Yorkhill, simply pick up the phone and call our helpful and friendly staff to enquire about availability and make your reservation. You can also book a room with the help of the booking form on this website. We will do everything we can to make your visit to Glasgow to attend Yorkhill Children�s Hospital as comfortable and pleasant as possible.